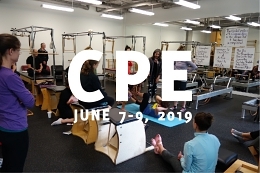 The Pilates Fundamentals Seminar provides essential tools for development and improvement of Pilates teachers and aspiring teachers. 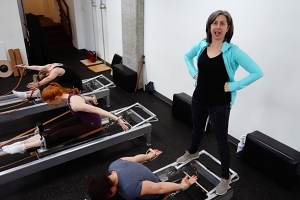 We’ll go back-to-basics, learning the exercises Joseph Pilates created to foster his distinct ideas of “normal health,” “natural law,” “self knowledge,” and “breathing properly.” We’ll explore those principles and practice the basic exercises with purposeful intent and an eye towards practical application. Discuss Pilates philosophy and approach with focus on the basic functional movements and relevant structural anatomy. And introduce the concept of body literacy. Review the basic Pilates exercises on the mat and apparatus and explore some fundamental exercise breakdowns, modifications and enhancements. Work on the fundamentals, employing the principles of Pilates. Practice standard alignments, posture, muscular actions, and rhythms in order to assist and challenge the body in action. Introduce fundamental program design for healthy bodies and introduce fundamental teaching skills and teaching tools.